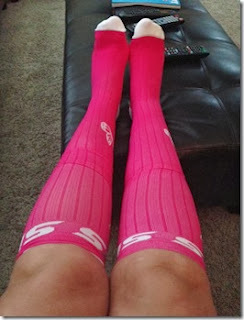 SLS3: SLS3 Compression Socks Review from Jen at "Hello Fitness... We Meet Again"
SLS3 Compression Socks Review from Jen at "Hello Fitness... We Meet Again"
You guys know that I love my compression socks – both during my runs as well as afterward for recovery. So when I was contacted by SLS3 to review their compression socks, I happily accepted. With years of swimming and triathlon under our belts along with academic backgrounds in business, sports physiology, nutrition, and a passion to pass on what we learned and know how to do best we founded our business for triathlon race apparel and compression gear. In the beginning we only made a suit, short, top and one kind of compression socks. The reasons were: that's what you need to do a triathlon, and we didn't have more money. Those 4 items though were made with great care, attention to detail, German precision and a hefty dose of passion for the sport. Now, they’ve expanded to include more accessories that can be used by triathletes, including swim caps, visors, and arm and leg sleeves. They have some super cute items specifically for females. I was sent a pair of their “hibiscus” butterfly compression socks (they also come in azure blue and violet). I couldn’t wait to try them out, so I wore them on my long run that weekend. They felt nice and tight on my calves and I had minimal pain during my run! They were also snug on my feet but not overly tight, and they kept my feet dry throughout my run. I think I ordered a size too big because they were a little long, coming up into the crease of my knees. Because of this, I don’t know that I would run in them again, but definitely wear them for recovery. These will also be great to wear on long plane rides to keep the swelling down. 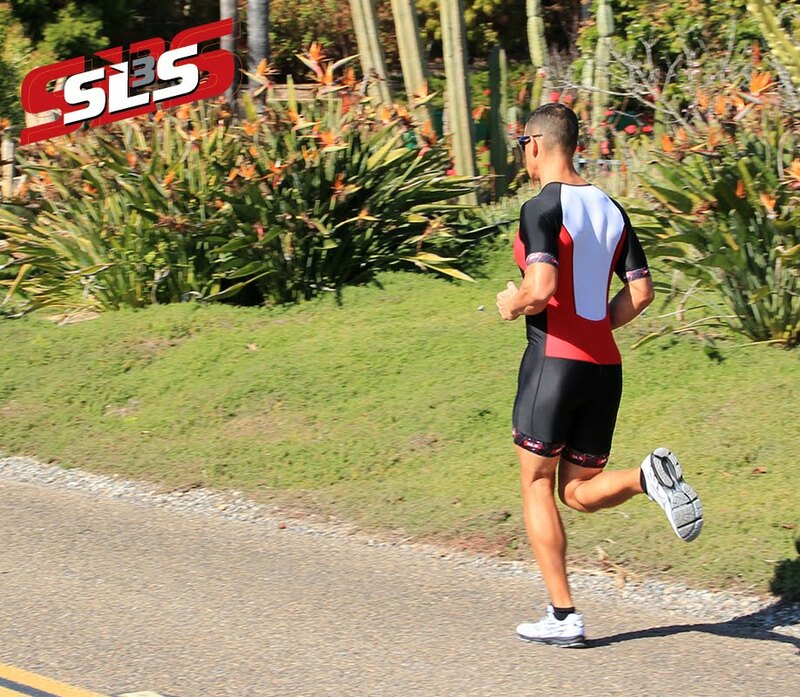 If your new to compression, it has wonderful benefits to athletes. They can help decrease soreness after a workout and increase blood circulation. Diabetics often wear compression socks (although maybe not nearly as cute!) to help prevent blood clots and blood from pooling in their ankles. This is another reason they are great for long plane rides. Sebastian and Sylvie take pride in their products and listen to their customers to ensure you get the best of the best. The majority of their products are made in the USA, and they strive to keep their carbon footprints as small as possible. You can check out their products for yourself at SLS3.